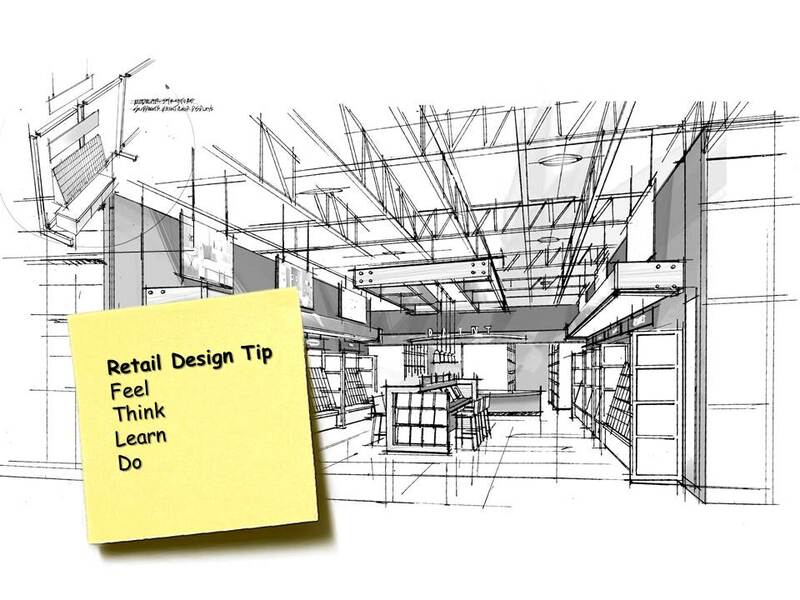 We get a lot of assignments for designing retail displays for “considered purchase” products – products where the decision process involves considerable investigation and deliberation. Think high-end carpeting, windows or custom leather for a car. This post offers some tips for things to include in your creative brief that will give you a better design result, or at least get you to one a lot faster. Define what you want shoppers to FEEL when they first see your display? Think in terms of adjectives – impressed, inspired by the possibilities, excited, relaxed, intrigued. Define what you want attendees to THINK about your brand or products? For instance do you want to be seen as the global leader, friendly, fun and approachable, hi-tech, low-priced, a mentor (the people who are here to help you through the process)? Define what a shopper needs to LEARN in order to make a decision? For instance, how your product is made, what makes it better, how it has helped other people, how to choose the right product, why they can trust you, what to do next if they want to buy. What should each shopper DO (in order) as part of their shopping experience? For instance read this, touch that, pick this up, talk to a sales person. Figuring all this out may sound a bit daunting at first, but the payback can be huge. For a good designer this information is golden, and every bit of it can and should find its way into your program.